Tablet is one of those technologies that I think is slowly dying, at least as how we things today where smartphones have become the main gadget of choice for so many users around the wold. Almost every electronics company has mainly focused on releasing their best top of the line smartphone devices in different market segments. Tablet devices on the other hand is something that we hear about less and less every year. Even the biggest players in the industry like Apple and Samsung have appeared to be not so enthusiastic anymore in promoting their respective tablet lines. That being said, it's still nice to hear new tablet offerings from time to time and very recently one of the latest ones that have arrived in the Philippines is the Huawei Mediapad M3. It is also nice to know that this Huawei Mediapad M3 tablet sports great specs and design right out of the box for a price that is reasonable. And if the marketed specs and features of this tablet are any indication, I am thinking this will also become of the newest, powerful and best slates around. So if you are still shopping for tablet and yet don't want to grab one of the outdated or quite old ones, you might consider getting this one instead. This tablet boasts all-metal aerospace-grade aluminum casing. The sleek and stylish slightly curved on the back's edges appears the device feel more premium and comfortable in the hands. On the front side is a huge 8.4-inch IPS display with 260 x 1600 resolution and a total of 359 pixel per inch density, this should provide the ultimate experience for consuming digital content both offline and online. And speaking of digital media, to deliver this experience, the audio system of this Huawei Mediapad M3 is co-engineered and certified by none other than Harman Kardon and the earphones that come with the packaging are manufactured by AKG, two of the leading companies in the audio industry. That said, Huawei promises its own SMS 3.0 technology to provide "an amazing, theater-like experience." Powering this slate is no joke either. Embedded at its heart is the Huwei's HiSilicon Kirin 950 processor clocked at 2.3GHz with eight cores paired with Mali-T880MP4 GPU, and a massive 4GB RAM. For storage, it will come with default 32GB which is expandable via microSD card up to 128GB. If you wonder if this device comes with LTE support, the answer is yes we will get the LTE variant. It's a single-SIM though and has its own dedicated microSD card slot for the storage expansion. See rest of specs below. 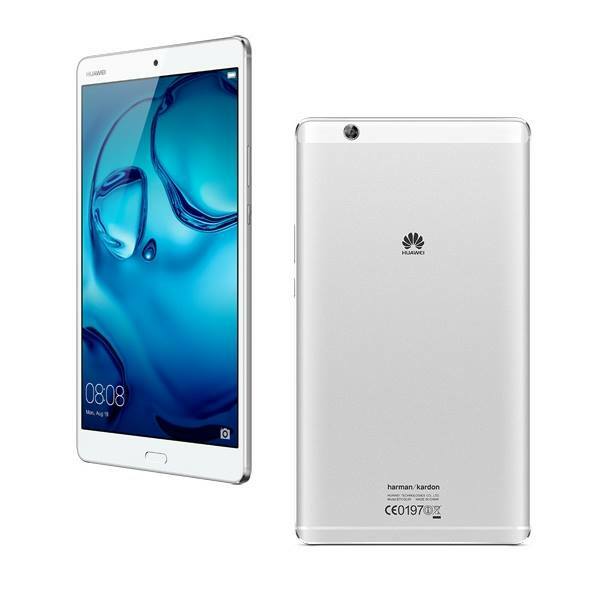 The new Huawei Mediapad M3 has been released in the country since a few days ago for an SRP of Php18,990. For interested buyers from Davao City can now purchase this device via TekPone or from Huawei Shops at 3F of SM Lanang Premier or 3F of Gaisano Mall Davao. Or you can buy it from TekPone's Shopee store here in case you are from outside of Davao. UPDATE: 4/17/2017. I juts got a confirmation that unlike in some other markets, the AKG earphones are sold separately here in the Philippines and not included with this Huawei Mediapad M3 in the packaging.